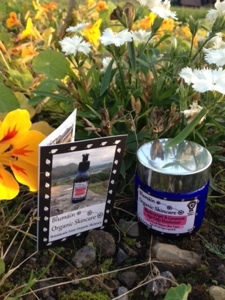 Sparkle Blossom Beauty: Blumain Organics 100th post!! 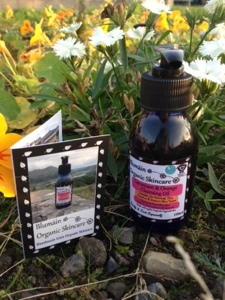 Hi welcome to me & Julie's first co-post ;) and what better way to start than with the blogs 100th post and a new Irish beauty brand Blumain organics. Every once in a while you come across something that far exceeds your expectations and this range has blown our socks off! 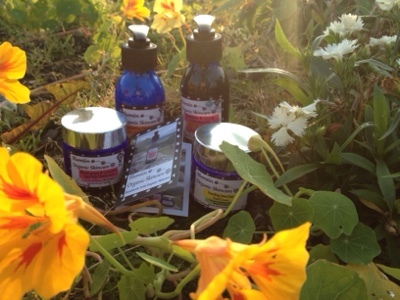 Julie and I have reviewed some products each which we will tell you about here. As a special celebration of our 100th post Sinead of Blumain Organics has put together an amazing hamper for one lucky reader, entry details can be found at the end of the post. Julie says being an extremely busy mom with two very active young boys , it's no wonder my skin looks so tired and dull. I used to have a great skincare routine but that has long gone out the window. So when I received the Blumain hydrating orange blossom cleansing milk €19.95 & blackcurrant & geranium age-defy moisturiser €25 l figured now is a good time to get back into my routine. The cleansing milk contains castor oil, alpha hydroxyl acid, orange blossom water and essential oils. The cleansing milk says to rinse with water and remove with a damp cloth but I just used damp cotton wool as I always do. 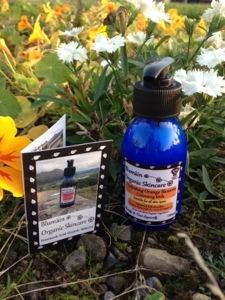 When I first applied it, the scents of the essential oils are very apparent & slightly heady. But that soon settles & if you're a fan of essential oil based products then you will be sure to love it. The texture is quite creamy so I didn't think I'd like it on my skin but I did. With just two cotton pads & two pumps of product, my skin was clear of makeup. It also didn't feel oily like some of these products can. I did splash my face with water before applying the moisturiser, which again had a creamy texture, albeit a thicker consistency. It had a silkcocks base look when applying which I didn't like but it soon soaked into my skin, well actually my skin sucked in every ounce of product which I obviously needed & didn't leave an oily residue which these products can. I didn't get much of a smell of blackcurrant but the smell of lavender, geranium & Orange is just divine. The Moisturiser contains argan and pumpkin seed oils, Hylauronic acid, coenzyme q10, blackcurrant extract and geranium oil. I have used these products for two weeks now & I can honestly say I'm hooked. I am telling everyone who will listen about them. I have had bad acne since i had my second boy a year ago and nothing seemed to work. But since using this, it has reduced significantly. This is definitely down to the properties of the oils. One lucky reader ( ireland only) can get their hands on a hamper just in time for Christmas enter through our twitter good luck!